For many of us, Valentine’s Day is a time to indulge our sweet side. We go out of our way to be kind to our friends, families, neighbors, coworkers and significant others, and this usually includes plying them with sugary candy. If you’re looking for some really unique sweets this Valentine’s Day, shop at Roger’s Bulk Candy Shop on 9 Mile Road in Eastpointe. With a modest exterior, Roger’s takes on a Wonka-like atmosphere when you walk through the door. The walls are lined with glass jars, bins and barrels overflowing with bright pieces of candy. They carry every kind of confectionary you can think of, but what is especially impressive is their selection of nostalgic candy. Some of the memorable brands Roger’s carries date back more than 100 years, like Taffy Town. Other candies like Squirrels, Bit-O-Honey and Black Jacks were developed in the 1920s. And there are plenty more candies that have stood the test of time such as Mary Janes, Candy Buttons, Turkish Taffy, Slo Pokes, Astro Pops and ZotZ. Roger’s also carries all of today’s kids’ favorite treats like gummy bears, lollipops, Swedish Fish, Runts, Jolly Ranchers, Skittles and Jelly Belly Jelly Beans. With malt balls, chocolate-covered almonds, pecan turtles and classic name-brand candy bars, there is plenty of chocolate to choose from as well. I spoke with owner Roger Berro who said he opened the business eight years ago because there was a need in the area for a specialty candy shop. Generations of his family have been in the retail business, and he said business is their passion. As he showed me around the shop, Berro was like a candy librarian, pointing out different popular candies and giving me a little history about each of them. The shop originally only sold candy and later expanded to ice cream. Now they also carry Mediterranean food like grape leaves, tabouli and spinach and meat pies. Additionally, they offer habanero pistachios, Jordan almonds, jumbo salted cashews and other specialty nuts. Their freshly made smoothies and 52 flavors of Ashby’s Sterling Ice Cream are extremely popular in the summer. While I was there, a woman was buying candy for her daughter’s shower. Berro said they are a popular destination for people putting together candy tables for graduation parties, showers and weddings. Customers can purchase anything from one piece of candy up to 20 pounds! “People come in happy, and we make sure they leave happy,” said Berro. Granma’s House of Pancakes is sporting a new look with fresh paint and a purple awning. This local diner made Detroit Metro Times’ “A smorgasbord of better breakfast joints in metro Detroit” list and was also featured in Macomb Now Magazine. This small diner packs a big menu with crepes, blintzes, omelets and, of course, pancakes as well as many sandwiches, burgers and lunch items. According to their Facebook page, Detroit Wing Company (DWC) served nearly 500,000 wings to more than 42,000 customers in their first six months – not a bad start! This new restaurant has completely remodeled their building, installing a kitchen, front counter, small dining area and modern window overhangs as well as trimming the interior with warm wood walls. DWC specializes in wings slathered in your choice of 16 original sauces made from scratch. Mac and cheese, poutine and cornbread muffins are just some of their mouth-watering sides. In the past few months, owner and chef Gus Malliaras shared cooking tips and recipes on Local 4 News, Fox 2 and WXYZ Detroit. The unassuming exterior of Audio Café Recording Studio makes the state-of-the-art interior even more impressive. Designed from the ground up, many improvements have been made over the years, the latest of which is brand-new flooring to improve the acoustics for better sound quality while recording. Audio Café features a control room, live room where instruments are recorded, isolation booth for vocals and lounge area with amenities to keep you and your bandmates comfortable for hours of recording. They also record a significant amount of voice-over work. Did you know Catelynn Lowell from MTV’s Teen Mom has recorded here? Stingray Bay is a treat for any aquatic hobbyist. With new stock arriving weekly, they boast an impressive selection of saltwater and freshwater creatures including star fish, crabs, frogs, sea urchins, sea anemone, coral, fish of every kind and even stingrays! They also carry tanks, filters, pet food and everything you need to set up and maintain your aquarium. They renovated the building this past winter, replacing windows, adding new flooring and building out a new nautical-themed counter. In 2011, Legends was destroyed by a fire, and after several years of anticipation and curiosity, Milestone Grill finally emerged. This brand-new building is beautiful inside and out. It features stone columns, large windows with chic black awnings, rich wood paneling and an impressive bar. Whether you’re dining out with the family, enjoying a craft beer and game with friends or ordering signature cocktails for a fun night out, Milestone Grill is worth stopping in! And if you do, you’ll be in good company. Former President Bill Clinton stopped for a visit last March while on his wife’s campaign trail. After a retail space adjoining DeRonne True Value Hardware became available, it didn’t take long for the business to expand. Not only does DeRonne carry something for all of your home project needs, this locally-owned small business is also renowned for their excellent service and knowledgeable staff. If you have a question, they know where to point you! St. Clair Shores is home to a new Syphus Training facility. This special type of fitness regimen keeps you on your toes with new workout challenges every time you go. As physical tasks are achieved, they are tracked and tabulated so you can follow your progress and compete against others for top scores. Group classes go at each individual’s own pace, creating a team atmosphere perfect for beginners and professional athletes alike. Roy O’Brien Ford is celebrating 70 years in the community with substantial renovations. According to a C&G News article, updates to the building will be completed in phases and include a partial demolition, service department expansion, more parking, adding a second story to the façade, bike racks to accommodate Nautical Ride participants and a historical marker. Lighting upgrades have already been made, saving the company in energy consumption and utilities while simultaneously giving the cars a beautiful sparkle. The next time you’re in the area and find your car on empty, check out the new Kroger gas station. The site was completely redeveloped, resurfaced and features brand-new pumps, convenience store and kiosk. With entrances off of 9 Mile and Jefferson, it’s a clean and convenient option for filling up your tank. In 2004, August was established as National Black Business Month. It is a time for policy makers, venture capitalists and residents to focus on fostering a hospitable environment where black-owned businesses can prosper. It is also a call to action for those within the black business community to support one another. In an effort to create a welcoming community for all people, Macomb County established OneMacomb. One of this initiative’s key objectives is to strengthen the county’s economy through supporting entrepreneurs of varied ethnicities. The Macomb County Department of Planning & Economic Development also specializes in helping all types of businesses grow. Their staff has extensive knowledge about available incentives and alternative financing programs that may be able to assist eligible businesses gain access to capital and take advantage of new opportunities such as job training, energy efficiency and façade improvement programs. One way you and I can help black-owned businesses succeed is through our patronage. The Black Business Month website created a helpful list of various types of black-owned businesses you can support each day of the month, such as a restaurant on Aug. 6, a retail establishment on Aug. 11 and a dentist on Aug. 15. There are 677 minority-owned businesses in Macomb County. According to Crain’s Detroit Business 2014 Book of Lists, the top black-owned businesses in the county are St. Clair Shores-based Prestige Automotive LLC and Eastpointe-based Bill Perkins Automotive Group (either automotive dealership would be perfect to visit on Aug. 3) and metal processing corporation SET Enterprises Inc. in Warren (Aug. 4). This month, challenge yourself to shop small, shop local and discover a new business. By redirecting a small portion of your spending, it could be a beneficial boost to the black entrepreneurial system. Tags Bill Perkins Automotive, Caitlin Gerds-Habermas, Macomb County Planning and Economic Development, National Black Business Month, Prestige Automotive LLC, SET Enterprises Inc.
Take a break from spring cleaning and yard work to indulge in your musical side. Explore your local music store, splurge on an instrument upgrade or invest in yourself by developing new talents through music lessons. To give you an idea of what’s out there, here is a brief look at three independently-owned music stores. Owned by Mark Kunnert, Ardis Music in Mount Clemens has been open since 1972. Located in the county seat, a notable portion of their customers include judges, attorneys and sheriff officers. Kunnert says when kids take music lessons at his shop, often parents do too as a way to become involved. When asked what instrument Kunnert recommends for a beginner, he said to go with the child’s choice, or you’ll never win. Last month, Huber Breese Music on Groesbeck in Fraser celebrated 44 years in business. 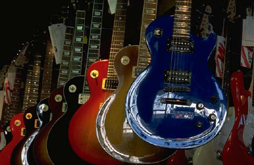 Some of their most popular products include guitars, drums, keyboards and amplifiers. Their guitars start at $99 and top out at $50,000 – a limited edition Epiphone Texan signed by Paul McCartney. 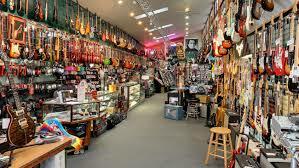 In addition to unique and collectible guitars, Huber Breese Music also carries all the major brands such as Fender, Gibson, Martin and Taylor. When asked what makes his store unique, owner Paul Huber says longevity. 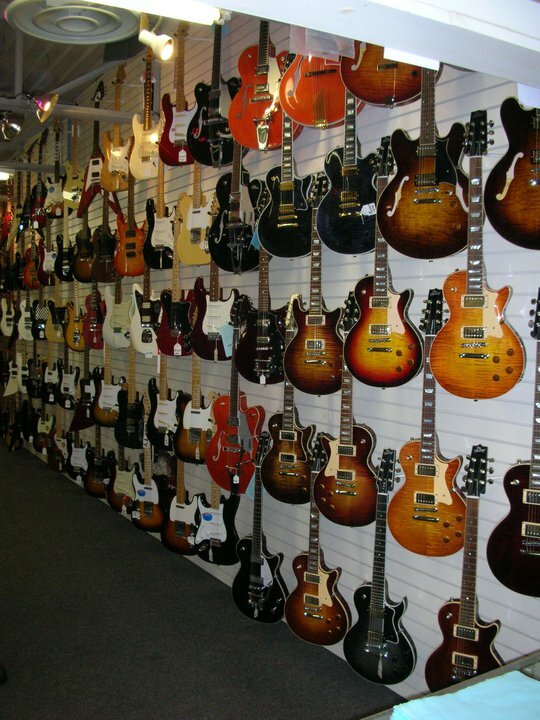 There are many great music stores located throughout metro Detroit, packed with shiny new instruments, durable gear for rent and passionate staff who want to guide you to achieve your musical ambitions. And each store owner I talked with said the same thing – they offer music lessons to a wide spectrum of students. It’s never too early or too late to learn! 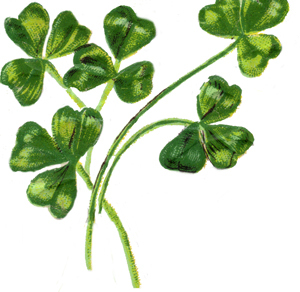 A version of this article was posted on The Make Macomb Your Home Blog. 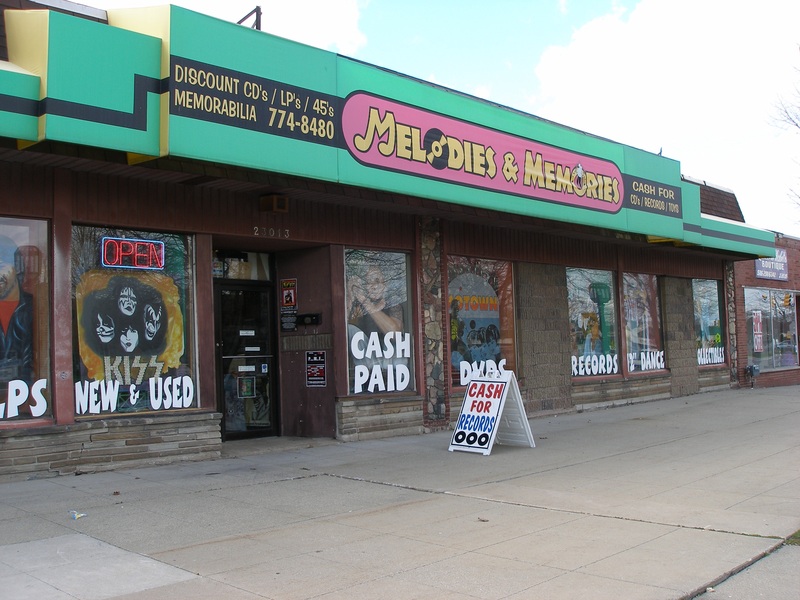 Melodies & Memories is an independent record store that opened on Gratiot in Eastpointe in 1988. It is a sprawling labyrinth of records, CDs and memorabilia with a plethora of iconic items on display. “Music-lovers look low and collectors look high,” explains shop owner Dan Zieja. And there is a lot to look at. Concert posters illustrated by Gary Grimshaw and Carl Lundgren are for sale, as well as photographs by famed Detroit photographer Leni Sinclair. Other memorabilia, however, is for display only. 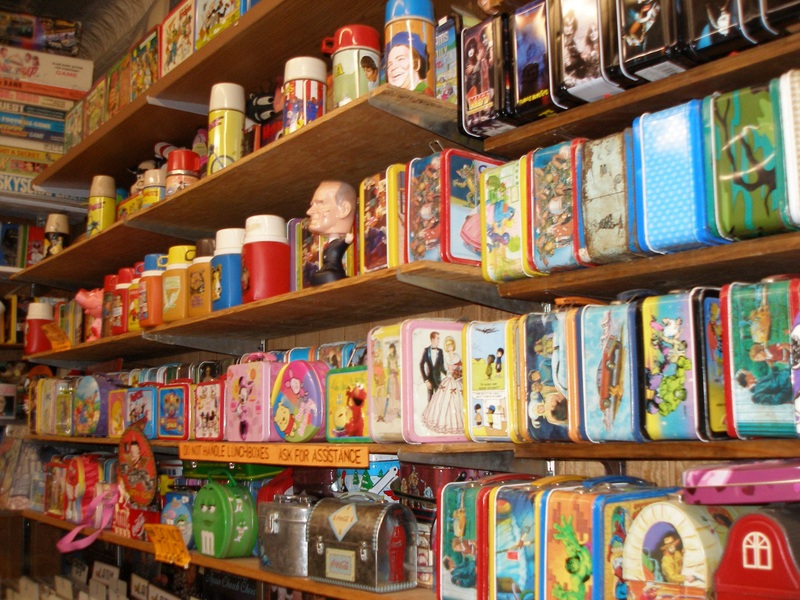 It’s part of Zieja’s personal collection that has accrued over the years and includes interesting items such as Beatles-autographed baseballs and 3,500 vintage lunchboxes. No matter what decade you were born in, you are bound to find something of interest at Melodies & Memories. “We’re like a pop culture museum. People find things here that they had as a child or remember from their youth,” said Zieja. Lining the walls are albums autographed by such music legends as Prince, Michael Jackson, Queen and the White Stripes – and it doesn’t stop there. 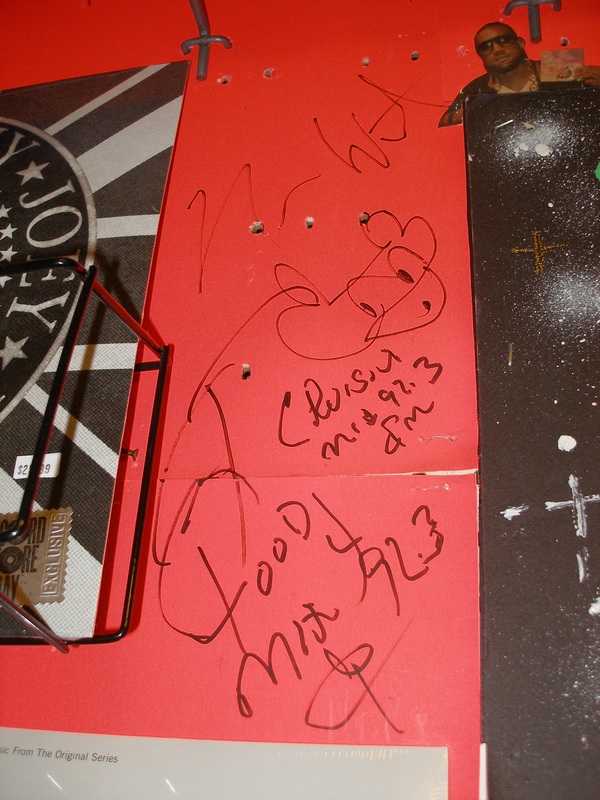 The walls themselves are scrawled with celebrity signatures. Eminem, Egyptian Lover (the hip hop/electro-funk DJ who played at the store earlier this month), Martha Reeves and Kanye West (who drew a teddy bear) are just some of the many musicians who have autographed the building. Aretha Franklin has also been known to stop in to shop. Melodies & Memories boasts an impressive stock of new and used vinyl and CDs ranging from jazz and blues to rock and dance music. Several sound systems are always playing different music at the same time, but due to the unique structure of the building, they seamlessly transition genres as you work your way across the store. Melodies & Memories is ready for Record Store Day this Saturday with boxes of limited-edition vinyl, free promotional giveaways and for the first time, they will be selling record players. Last year, a few customers eager to secure a specific LP camped out at 2:30 a.m.! Stop by the store at 3 p.m. for a special performance by Frijid Pink, a Detroit rock band that formed in 1967. Even if you’re not quite ready to camp out for Record Store Day this weekend, Melodies & Memories is a musical destination worth checking out any time of the year. Downtown Mount Clemens is a cross section of Macomb County life. People from all over the county come to the city every day to work, conduct government business and go to school. It is a place where politicians, reporters, county employees, construction workers, judges and students all come together. And something all of these diverse people have in common? Coffee. Yes, that comforting liquid that is part of our morning ritual, that caffeine boost that gets us through the day, that delicious beverage that makes all of us a little kinder to our fellow human beings. For too long, downtown Mount Clemens was missing an independent coffee purveyor. I am happy to report that this is no longer the case. Minha’s Coffee Haus, located at 58 Cherry St. (next to the exceptional Thai Orchid), is open for business. Just in the beginning phase, this business is starting small, taking its time and carefully planning for future growth. Deliberate thought has gone into every decision – everything from the compostable cups, to the Coca Cola products in glass bottles, to the inviting yellow paint on the walls. Extensive research went into picking the right coffee bean supplier. They decided to go with Dean’s Beans because they are fair trade, organic and kosher. This is a family business run by Sora Childress, who grew up living in Korea, China, Germany and France. Childress worked as a sports journalist, but the nature of her work started colliding with her growing family, so she began looking into entrepreneurship. Minha’s Coffee Haus has clearly taken on the personality of its owners. It is relaxed and friendly with an international flair. While I was there, the baristas were talking in French to one another and Childress and a customer broke out in German. There are plans to offer international baked goods in the future. “We wanted to do something true to us, something multicultural,” said Childress, whose mother is Korean and father is German. She created a space that is open to everyone. That’s why a large coffee is only $1.70, because she wanted anyone to be able to afford a cup – whether it is the high-powered attorney or the high school kid on probation. Childress is also hoping to provide the community a place to connect with one another, a place where the attorney and the high school kid can have a conversation. That’s why there are no TVs, just comfortable seating and light music. Minha’s Coffee Haus’ inclusive and creative attitude is certain to foster growth and evolution in unexpected and exciting ways. The next time you find yourself in downtown Mount Clemens for a festival, work, school, jury duty or because you live here, grab an espresso or Mexican hot chocolate and give this new local business a try – and be sure to say bonjour to the friendly staff! Monday – Friday 7:30 a.m. to 5 p.m.
To learn how the Macomb County Department of Planning & Economic Development is assisting this small business, read more at the Macomb Business blog.